I am working on a project which will set up a new service desk to replace current outsourced solution. My role was to design the concept and now I’m helping to realize it, so I looked how the tool will support my vision of excellent customer support. I was quite disappointed with the ServiceNow OOB (out-of-the-box) solution. I am not attacking ServiceNow here, I am pretty sure that all ITIL compliant tools would have been equally disappointing. In a picture drawn by the tool consultant, the concept looks like this. 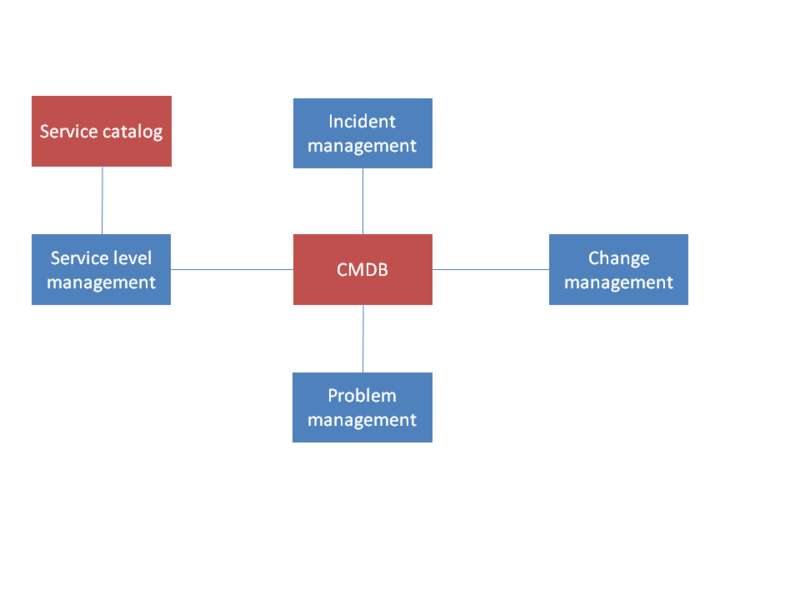 CMDB is the heart of the system with different processes connected to it. The data based model looks everything from the internal, infrastructure view, which I think is completely wrong way to approach service. In my opinion, the model integrates the wrong thing. The configuration of the service infrastructure is not key to the service experience. This is very technology centric view of IT service and it is highly misleading. Sarah is collecting materials for a bid which needs to be delivered in four hours. She is almost ready when a system freezes and she is not able to proceed. She tries everything and finally calls the service desk which creates a ticket categorized as Help-Internal application with medium priority as there is only one customer who has been affected, but the critical document stays frozen and she cannot produce the bid in time. In this situation it was not relevant to decide which service or configuration item is causing the freezing. The relevant matter would have been to solve Sarah’s problem and produce the bid in time. Nobody will be interested to hear that the incident was caused by a software component in the Application Hosting Service and that the incident was resolved within SLA limits by restarting the system. The ServiceNow OOB system is not designed to produce good customer service; it has been designed to support ITIL processes. There is no separation of customer support and technical solution while anybody who works in real customer service must understand that helping a customer comes first, solving technical issues comes way behind. There is very little benefit in building an interconnected IT-system for ITSM. Of course you need a customer service system to handle customers and you some system or tool to handle configurations etc. But there is no need in trying to integrate these. The integration is hard to build and maintain. It is a completely unnecessary complication. When somebody points out a flaw in ITIL somebody else usually replies that ITIL is descriptive, not prescriptive and that one needs to adapt and adopt it. But if you look at the ServiceNow solution, you can see a prescripted ITIL solution which is not at all easy to adapt. It easy to understand why ServiceNow feels it has to be ITIL compliant, but this obsession with ITIL is clearly killing all innovation.